Please select another color or size. Fuse is engineered for every day, but can bust a move when adventure calls. The fabric wicks sweat like there's no tomorrow including the soft&nbsp;jaquard&nbsp;waistband. Digital printing showcases seasonal patterns in photographic detail.Every pair of SAXX houses our patented BallPark Pouch construction. Designed for contact-free support, this 3D hammock-shaped pouch keeps everything in place, thanks to mesh panels that prevent skin-against-skin friction, and no exposed stitching for chafe-free comfort.&nbsp;Taking a 360-degree view of the body, we consider fit, feel and function, and use nine panels of fabric to create 3D shaping around glutes, thighs, quads, and hamstrings, including the built-in mesh panels of our patented BallPark Pouch.The devil is in the details. 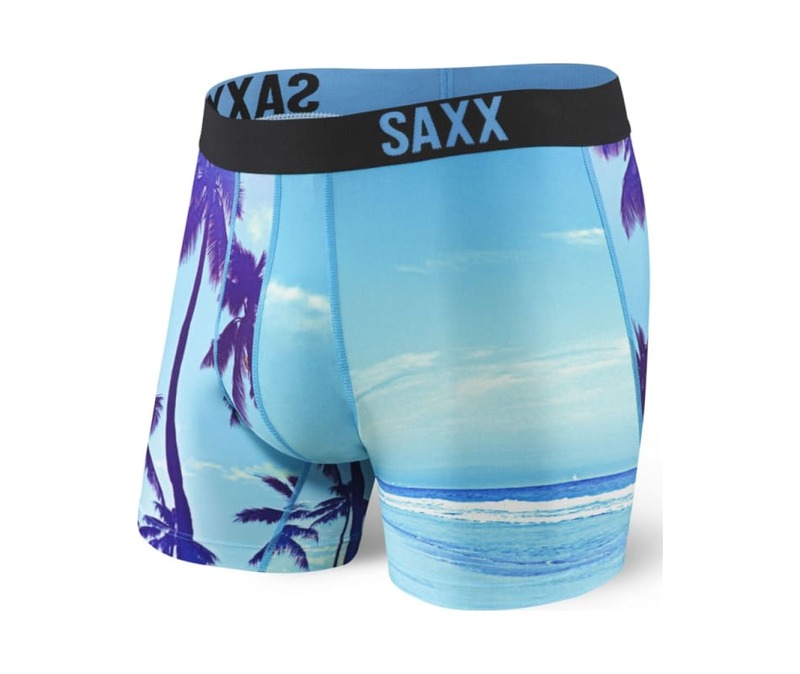 Our entire SAXX collection features Flat Out Seams for smooth, against-the-skin contact. And while most underwear companies place the raised-thread seam against the body, we reversed conventional thinking and placed the flatter, softer side of the seam inward, for no-chafe comfort.Through precision blending of spandex with polyester, Modal, viscose, nylon, merino wool or cotton, each garment is designed to perfectly suit your needs. We strive to innovate and redefine the functionality of your most important base layer.